Beach Fashion & Home Décor Gallery of Tropical Florida Furniture, Accessories, Wall Art, Beach Jewelry, Jams World, Beldini, Clara S & Lulu B. Featuring a 5000 sq. 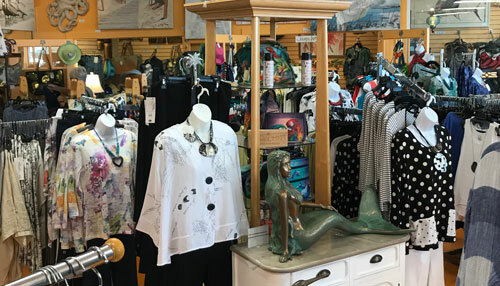 ft. curated collection of coastal home furnishings, art glass, handmade jewelry, art, sculpture, resort and cruise fashions and one of a kind pieces from American fine craft artisans. A collection of tropical home furniture, wall art and sculpture, art glass, hand made jewelry, rugs and lamps greets you upon entering this large Florida lifestyle gallery in Seminole, Florida, near the Gulf of Mexico. Created by Linda Wolbert, it provides a venue for color, creativity, good design and value in the beaches and central Florida region. 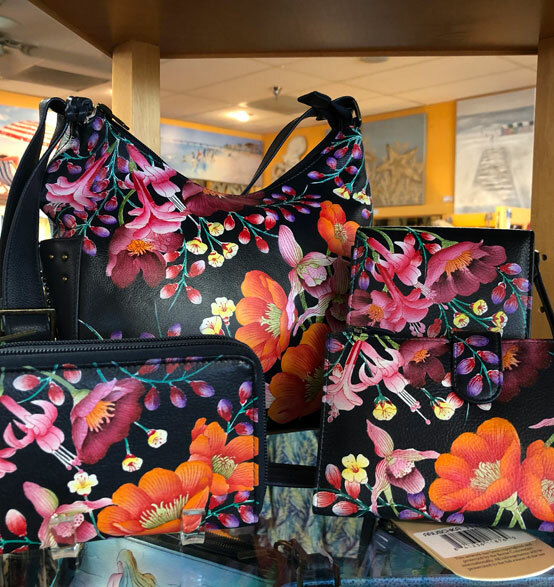 A seasonal selection of fine American crafts, gifts for the home and family, as well as decorative accessories are always on hand. Artists from North America are featured in various media. The relaxed atmosphere in this 5,000 sq. ft gallery is enhanced by a friendly staff. Many amenities such as gift wrapping, packing for shipping, and samples of gourmet treats from the Gator Gourmet department are always available. You will quickly learn why Dolphin Gallery is known as "A gallery like no other". Visitor or resident, it matters not! 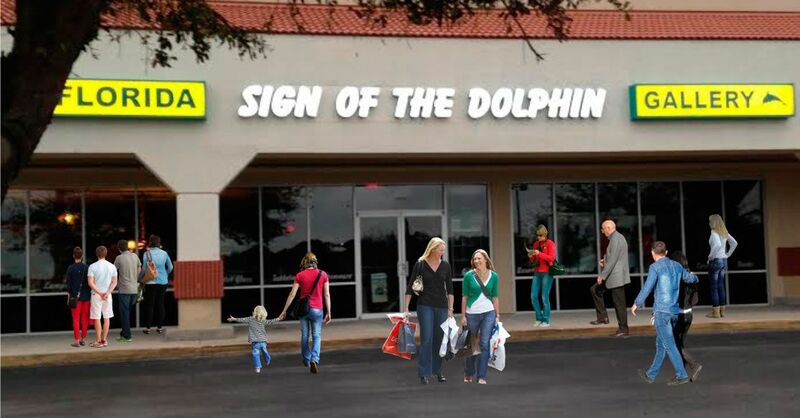 A trip to Sign of the Dolphin is always a joyous event. Put a smile on your face and joy in your heart.